This amazing album is a perfect example of how a band can go from good to great. 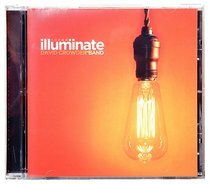 Powerful music, inspiring lyrics, everything that Christian music should be, from Passion worship leader, David Crowder. One of today’s most gifted worship songwriters, Dave Crowder began his musical journey in a Baptist church he founded at Baylor University, Texas, while still a student there in 1995. Creating and performing original songs grew naturally from Dave’s role as worship leader, and in 1998 he and his bandmates released their first full album. Since then, the Dave Crowder Band has blessed churches worldwide with a continual stream of worship hits, in a style that has mingled guitar rock with touches of bluegrass, folk, alternative, and even a bit of electronica!